Happy #WorldBookDay To All #Booklovers! It’s World Book Day today, and like all book lovers, and aficionados of the written word, I’m sure you are celebrating books and reading today. Books have given me so much that it’s hard to start telling. Through difficult times, through leisure and through daily, uninspiring routine, books and especially, fiction has taken me to different worlds and made me journey with a host of personalities. If I were to be asked which is my favorite book it would be hard indeed. Raising my coffee cup, to all those wonderful authors whose thoughts were so powerful as to whisk me away to the world they inked. So in honor of this special day, Sweet and Spicy books has a special giveaway. All you have to do is name your favorite book or author in the comments (because sometimes books are hard to name, I understand) and you win one book from these. Just name the book you’d like to read and you win one ecopy of your choice from my books. Leave the name of the book you’d like to read and the name of your favorite book/author in the comments. You are welcome to share why they are your favorite. Hi everyone! Thanks for sharing and liking the giveaway post. It’s time now to announce who won the prize. And the winner is…drum roll…Phyllis BardfieldGelman. Congrats, Phyllis, you win an ecopy of His Christmas Surprise, heartwarming and sensual romance novel set in Goa. Message me your email address to get your prize. Thanks to all who participated! Watch out for new giveaways by following this blog. It’s time for a giveaway and as Easter weekend is coming up, it will be an Easter giveaway. My question for the giveaway is, describe in the comments below, any memory that connects you with Easter. It can be anything minor or major that you remember. You will win an ebook copy of His Christmas Surprise as prize. The length of your answer doesn’t matter. The answer needs to be posted in comments section of this blogpost. Here’s something about the book. Dan is struggling to bring up his sons after losing his wife. Tonya has a small son and is also on her own. When her bakery business goes bust, she accepts a job offer for housekeeping from Dan. They come close but Dan has too much going on in his life to think of commitment. Then his sons also don’t want any one to take their mother’s place. Will love brew between Dan and Tonya under these circumstances? Will it be strong enough to overcome the obstacles? ‘I’m just headed back home.’ She must look ridiculous standing there with no business. Uncertain what she ought to do, she turned away but turned back again. Then something got the better of her. ‘This? Why?’ His expression was forbidding. She was tempted to follow his advice. Silently, she watched him. He folded the letter and put it back inside the envelope. Then he folded the envelope and stuck in his shirt pocket. His face was dark, but the expression inscrutable. Still, there was something in the deliberate way he made the movements that disturbed her. She tried again, some innate empathy and some genuine concern for him holding her back, when she should have gone on her way. ‘I have nothing for you, Tonya.’ His gaze, blue and blank, looked at her. She didn’t want to hear the bleakness surrounding the words. Instead, anger rose at his determination to walk away from her so readily. They’d just shared a kiss that had been so full of passion, she’d been swept away with the force of it. He’d acted like he couldn’t resist her, for God’s sake. ‘Tonya…’ His blue eyes gazed at her and she saw regret there. It made her feel empty inside. Her fists curled. Hope you enjoyed reading the excerpt. I will post the result of the contest on Monday after Easter. 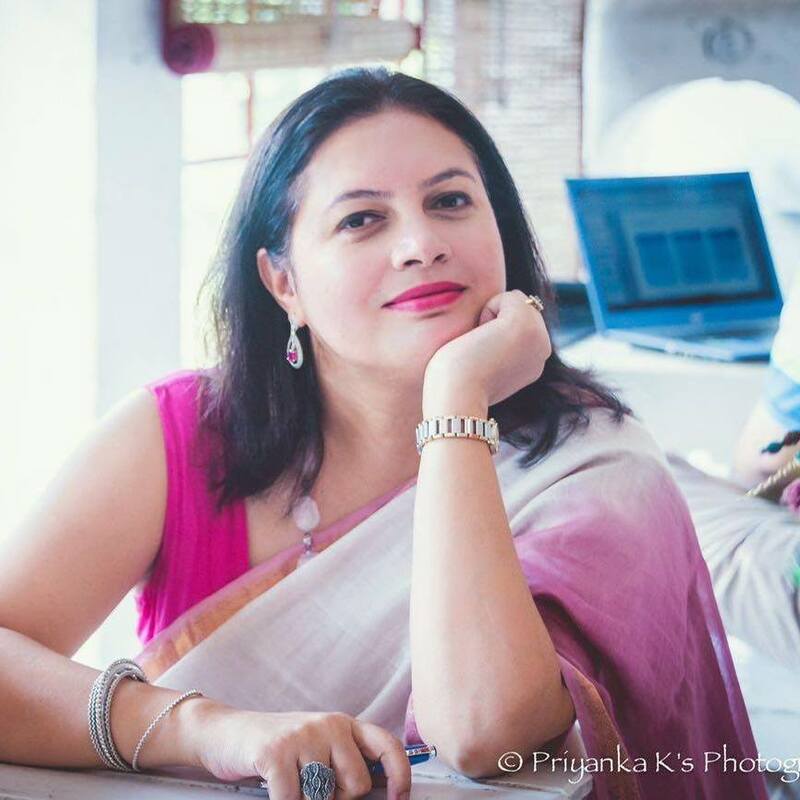 Sagarika Mehta walks out of her nine-year-old marriage, meets with a near-fatal accident and goes into a deep coma all on the same day. After six months, she wakes up with no memory of her past. When she is discharged from hospital a year later, Rishab, her husband, whisks her away to an unfamiliar address in Gurgaon to convalesce. There, in that plush apartment, with people waiting on her hand and foot, Sagarika can’t shake off the feeling that something is wrong. Why does the scent of a particular cologne unsettle her? Why does the innocuous word ‘cheeni’ bother her? And why is Rishab so evasive in response to her queries about her past? 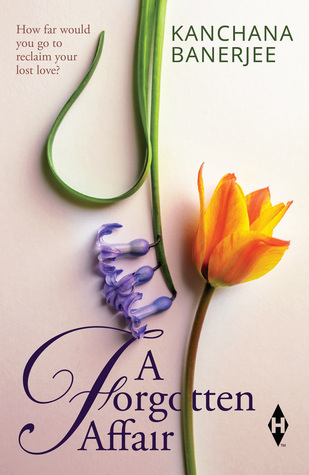 ‘A Forgotten Affair’ is a gripping story of a woman caught between two worlds. 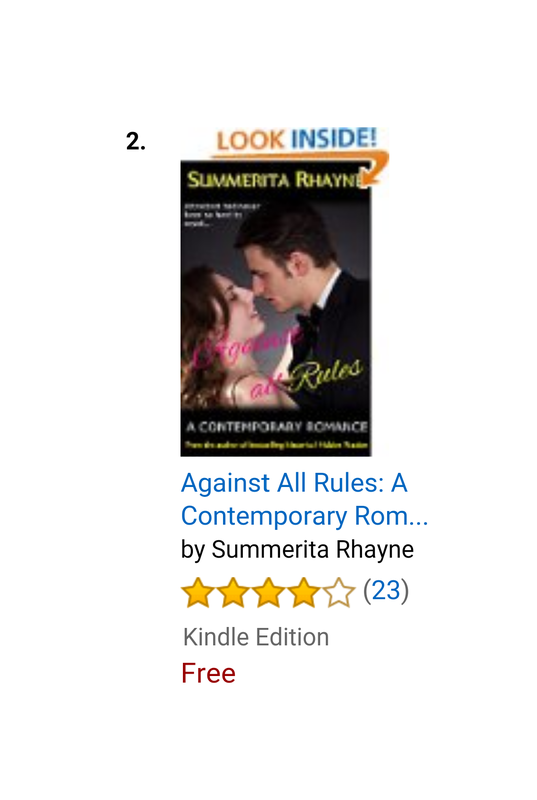 September 11, 2016 Summerita Rhayne Amazon rankings, Book spotlight	Against all rules, Amazon, ebook, free download romance, giveaway, Kindle Unlimited. Against All Rules is free to download at Amazon today. Enjoy a sizzling romance set in the workplace. It continues to be free till 13th March Amazon time. Thank you all who have downloaded and reviewed the book.